Moving your home is a big task. You need to pack and prepare all of your sensitive belongings before packing. Your antique furniture pieces and other bulky and heavy items may require special attention. Sorting out everything make take up some of your free time. In the end, you are left with heavy and bulky kitchen appliances. 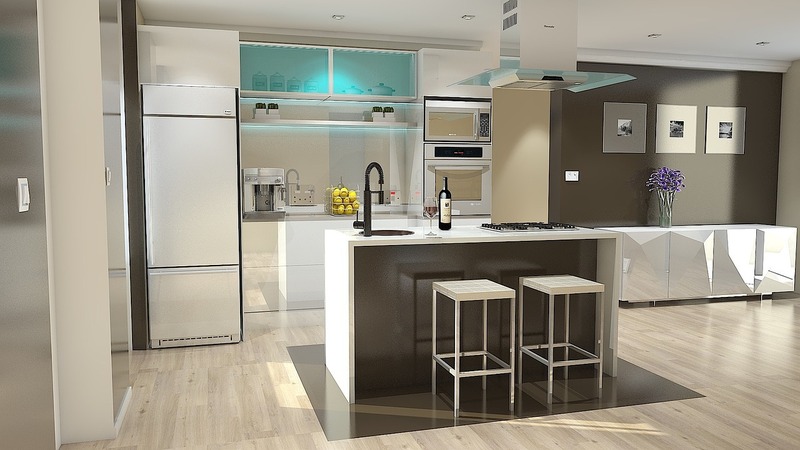 It may seem easy to pack and move kitchen appliances for the move. However, each piece may require your special attention. Use our tips to pack your entire kitchen and your home with ease. How to prepare for packing kitchen appliances? You should make time and prepare in advance when you need to pack and move kitchen appliances. Preparation is the key when moving your kitchen items. Even when hiring professional moving services NYC to help you pack and move kitchen appliances, they may not be able to finish packing in time unless you prepare everything first. Professional movers will pack your kitchen appliances only when they are empty and dry. If that is not the case, your movers may have to wait until your appliances are dry and ready for packing. In case you don’t take all the necessary steps to prepare everything and before packing, you may cause damage. On the other hand, you may delay your movers on a moving day. Or end up with appliances that picked up unpleasant smells while in transport. Empty your fridge before you clean it, defrost it and pack it for the move. It is crucial you start preparing to pack and move kitchen appliances a week in advance. You should create a schedule for spending frozen foods you store in your freezer. Not to mention fresh products you use every day. Consider that you shouldn’t have any left-over foods in your fridge and freezer two days before the moving day. You may store only items you can use instantly and empty the fridge quickly. To prepare like a professional, you should consider emptying your fridge and freezer a few days before the moving day. Unplug the electricity source and let them defrost naturally. Make sure not to rush the process or try defrosting your fridge or freezer by force. You can easily cause damage to the inside surface and make a small hole. You may not notice it, but you will still need to pay a substantial amount of money on repairs. After your appliances defrost on their own, consider cleaning your fridge thoroughly. Pack and move kitchen appliances – how to? Your fridge and your freezer should be completely defrosted, clean and dry before you can move them. Before you pack and move kitchen appliances, make sure to leave the doors open to ventilate overnight. 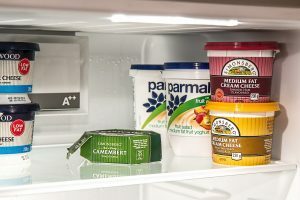 This way, unpleasant smells won’t appear in your fridge or freezer after you unpack them in your new home. 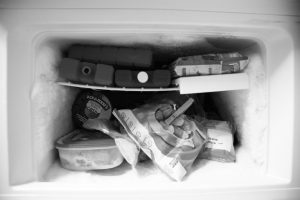 Defrost your fridge and freezer naturally before you prepare them for packing. As we all know, kitchen appliances can be quite heavy and bulky. If you have to move heavy and bulky items, make sure you have someone helping you. A strong friend or two can help you move these bulky items without causing any damage like stretches, dents or similar. Before you go on and move each piece, bit by bit, make sure you protect the floors. If you do, you won’t have to worry about causing damage to the floors and losing your security deposit before leaving the old residence. Before packing kitchen appliances, make sure to remove any loose parts. In case you have different compartments in your fridge and freezer, secure them in place. They shouldn’t move or touch each other even during transport. In case you fear that any loose parts may break during the move, take them out and pack each piece separately. When packing smaller kitchen appliances, you should make sure that everything is clean and dry. Before you start, you should already have all the packing materials you need. Make sure to have enough packing paper and bubble wrapping paper. You will use them for protecting all of your small kitchen appliances. The next step it taking out any loose parts and packing each piece separately. It is important you wrap each piece, especially if it contains the sharp blade. Those parts, you should wrap in packing paper and wrap it in the bubble wrapping paper. These items will require at least two layers of packing materials. Secure them with packing tape in the end. This way you will protect them from causing damage to other items you place in the same packing box. What packing materials to use for packing kitchen appliances? When you pack and move kitchen appliances, make sure to provide padding on the bottom of the moving box. Secure the bottom with multiple layers of tape before you place wrapped items inside. If the small appliance you pack is extremely sensitive, consider filling the box with packing peanuts. Don’t forget to label the box before closing the box with tape. 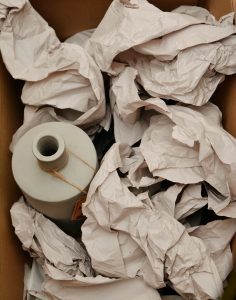 Consider using multiple layers of packing paper to pack each piece of your small appliances. Consider hiring professional movers when moving appliances? Professional moving companies have experience in moving various items in your home or office. In case you need assistance when moving home or need help packing your valuables, consider hiring upper West Side movers. Professional movers can provide the right tools and all the packing materials you need to pack and move kitchen appliances. Professionals also know how to protect each of your appliances and provide quality safety for each piece. And the best thing is that you can choose an insurance policy when your movers transport your home belongings.